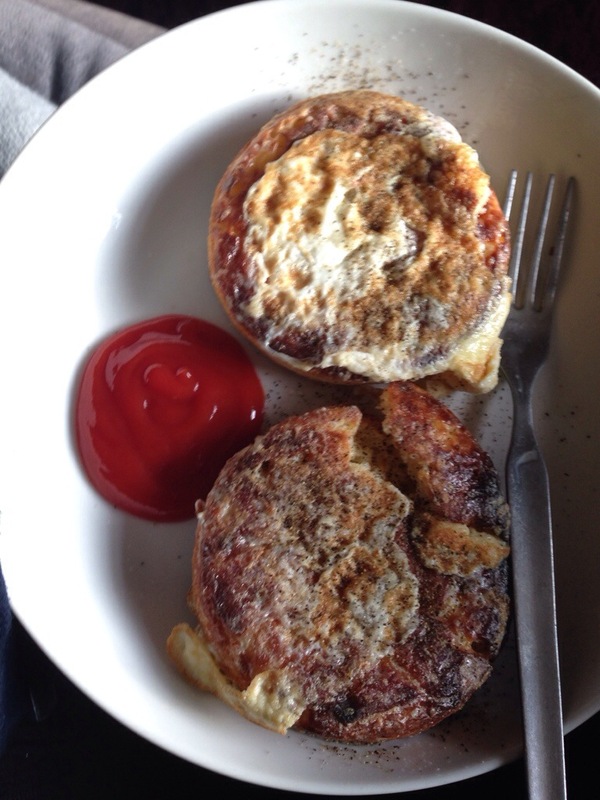 When I did my review of Genius’s Gluten Free Crumpets I mentioned how I used to make Eggy Crumpets…well here they are! As delicious as ever! There so simple to make, and taste really good. There a play on Eggy Bread and you make them almost the same! Pop them in your ‘Gluten Free’ toaster, and leave until they start to go crispy, then break one egg per crumpet into a bowl and whisk with a fork. Pop the crumpets into the egg to soak keep turning until all the egg has been soaked up (If there is any left over, I usually pour on the top of the crumpets while they are frying). Heat up a pan with a little oil of your choice…I always use fry light as its so much more healthy, and fry until the egg is cooked on both sides! and serve while hot. I always eat mine with some good old Heinz tomato sauce. SO good 🙂 this is simple student cooking at its finest! 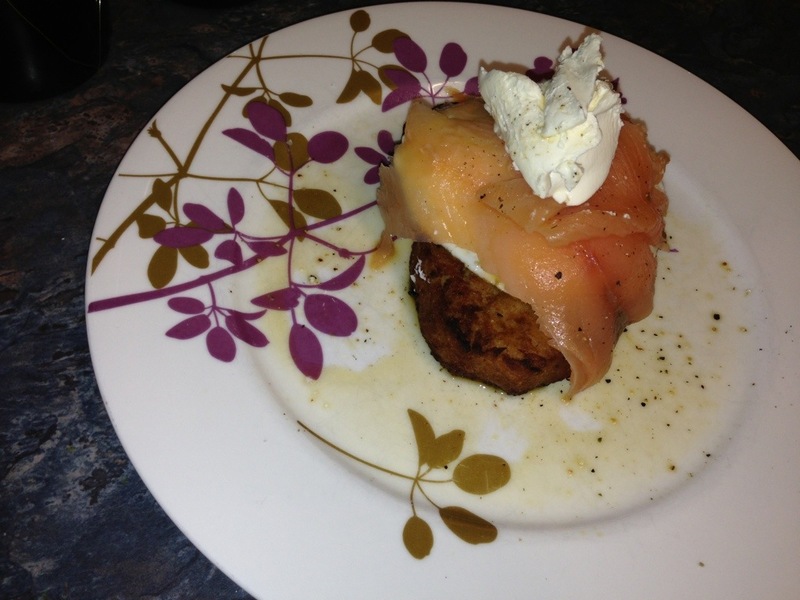 Delicious Waitrose potato rosti with poached egg, salmon and Philadelphia.